The journey of WWE hopefuls through NXT is profiled in this new WWE Network program. The first episode, while a bit unfocused and sanitized, is a pretty strong debut, showcasing several new faces with dreams of WWE stardom. The first NXT superstar we meet is Bayley, as she drives to work. She muses on her journey from being a dreamy 10-year-old wanting to wrestle to being the NXT Women's Champion. “Sometimes if I'm driving, I'll look at the person next to me in their car and just wonder, I wonder what they're doing with their life, if they're living their dreams?” She arrives at the Performance Center at the same time as Tough Enough winner Josh Bredl, who's there for his first day and signs his contract. We then transition to a training montage and some WrestleMania clips, and get a glimpse of Adam Pearce shouting encouragement to WWE hopefuls. 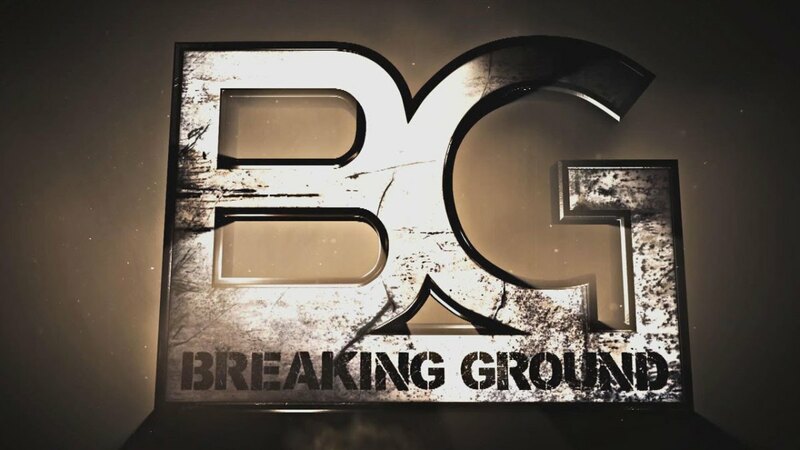 From this point, Breaking Ground focuses on five individuals: former NFLer Tino “Sabby” Sabbatelli, former NFLer Baron Corbin, 19-year-old female wrestler Nhooph, NXT interviewer Devin Taylor and former independent star Apollo Crews. It doesn't spent a ton of time on any one of them, particularly given that it's a 30-minute show, but they do their best to paint a picture of each. Sabbatelli, real name Sabatino Piscitelli, played college football at Oregon State and spent time with Tampa Bay, Cleveland and Kansas City before turning to pro wrestling following the end of his football career. He signed with NXT in 2014, and is adjusting to being a rookie and having to prove himself after being an established NFLer. He opens the show sidelined after a concussion in his second NXT match. Corbin, like Sabbatelli, is a former NFLer who spent time with Indianapolis and Arizona. He's been in NXT for three years and based on his experience and his resume, he thinks he should be on the main roster already. Jason Albert, interviewed extensively about Corbin, notes the challenge is keeping Corbin focused and motivated. Nhooph began training for wrestling at 16 years of age, and recalls having to lie to her parents about going to her job when heading to her first training sessions. We're told she's not improving, and get a wonderful montage of her taking awful-looking hip-tosses. She's been in NXT for awhile, but the coaches don't think she's good enough yet to get a match on a live event yet. Finally, she takes a hip-toss properly and the coaches praise her. Apollo Crews is the former Uhaa Nation, though that name isn't mentioned on this show. He tells a story about his father, who grew up poor in Nigeria and emphasized the importance of needing an education to be successful – the story's interspersed with clips of Crews on the indies. He shares a story about his dad saying the only way to be successful was by getting an education, and then getting a nice message from his dad after his NXT debut saying how proud he was. William Regal leads promo class at the Performance Center, emphasizing the importance of connecting with the camera. We get a montage of NXT kids doing quick promos, and Mojo Rawley does a strong promo and is praised by Regal. The majority of the promos we're shown aren't very good. Sabbatelli goes through the WWE's concussion protocol this episode, which we're given quite a bit of detail about – basically it's three weeks of no work, followed by them being eased back into ring-work and getting repeatedly monitored for recurring symptoms. He does a mock match at the end of the episode as part of the evaluation. We see some clips from the Gainsville show. Nhooph doesn't get a match and is bummed out. Bayley has a tag match and is praised by Shatner's voice-over for her efforts regardless of the size of the crowd – and how that's a good example for the rest of the performers on each show. Corbin is in the main event, teaming with Tyler Breeze in a losing effort against Finn Balor and Samoa Joe. This was a really strong premiere episode. It provides a really fascinating glimpse into the backstage goings-on and challenges facing aspiring WWE performers. That said, it could've been stronger had it spend more time with fewer performers. They never really follow up with Apollo Crews or Bayley, and spending that time with the lesser-known performers might've established better connections given how the episode ended.